REGULATIONS COULD BE on the way for rickshaw drivers operating in Dublin city centre. Following calls for the sector to be licensed, Transport Minister Shane Ross said discussions have recently taken place between Dublin City Council and the National Transport Authority who have agreed a proposed approach to regulating pedal-powered rickshaws. Regulating the sector would require the drafting of legislation, said Ross, who added that his department is now engaged with the NTA “to clearly frame the policy to guide any detailed legislative drafting”. “I will consider the legislative proposals which emerge when this work has been progressed, following which I should be in a position to outline an indicative legislative timeframe,” said the minister. Last year there were calls from Dublin City Council for the sector to be better regulated. Meanwhile, earlier this week, Independent.ie reported that a number of rickshaw drivers in the city are selling class A drugs while they work. Asked about the matter in the Dáil this week, Taoiseach Enda Kenny said reports of drug dealing in the city would be matter for the justice department and gardaí. This is not the first time rickshaws have come to the attention to the authorities. Last year, gardaí conducted over 100 night-time inspections of rickshaws in Dublin. Sinn Féin’s Dessie Ellis TD also asked the minister if the NTA has received legal advice regarding rickshaws carrying passengers for hire “that are operating without a licence, in some cases without insurance, proper driver vetting or roadworthiness certificate”. Ross said the key focus of any regulations introduced would be on “passenger safety”. Email “Regulations to crack down on Dublin rickshaw drivers could be on the way soon”. 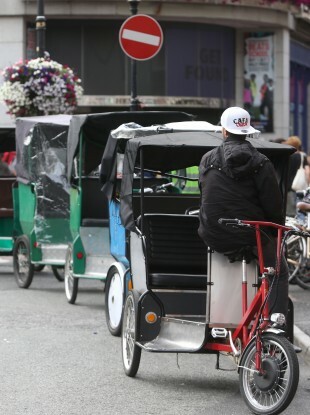 Feedback on “Regulations to crack down on Dublin rickshaw drivers could be on the way soon”.